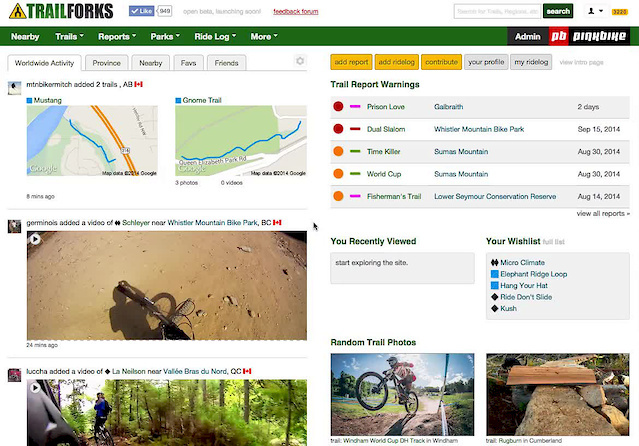 Here's a quick how to on subscribing to a specific trail. This is great for builders and maintainers. 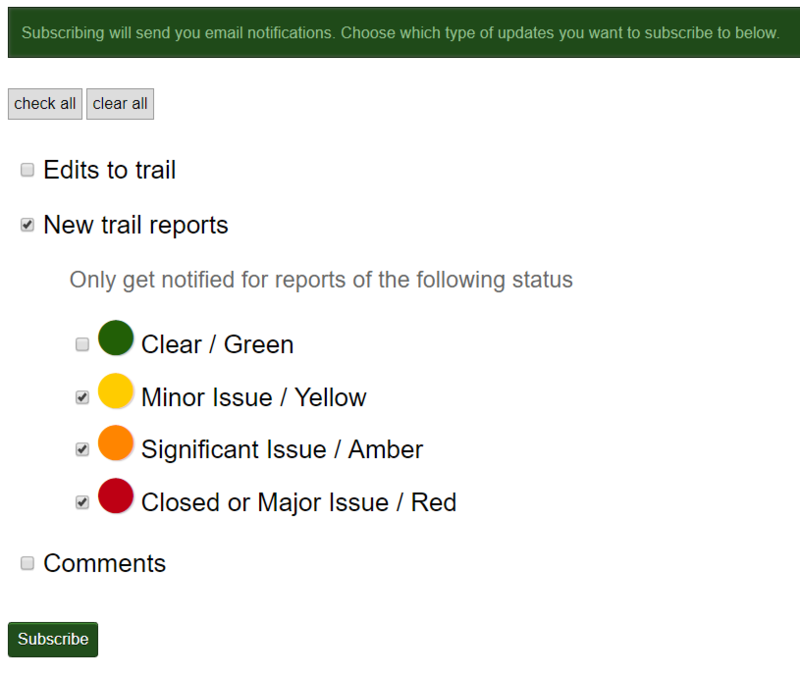 Anyone subscribed to a trail will receive emails when reports are added or edits are made to that particular trail. Scroll to the bottom of a trail detail page and click the "subscribe" button. Then choose which actions you want to be notified for. Including granular trail report options. Watch this video for a detailed tutorial.